Effective 1/1/15 Zumasys is the Worldwide Distributor for OpenQM. Users with licenses issued prior to 1/1/15 should visit the Ladybridge website. OpenQM has long sought to revolutionize the MultiValue industry, taking MultiValue to new heights of performance and expectation. OpenQM support and maintenance is now available for the first time directly from Zumasys, one of the largest development and engineering teams in the MultiValue market. With technical support engineers located across the United States and England, you’ll always be able to reach someone who knows the importance of keeping your MultiValue application up and running. Their software developers, technical support engineers, infrastructure experts, and cloud engineers will work with you to support, protect, and modernize your OpenQM database—whether on site or in the cloud. Their cloud platform is optimized for MultiValue database applications using industry-leading technologies from VMware, NetApp, and Cisco, and housed in the world’s most secure data center, The SuperNAP, managed by expert engineers who understand your business. They take care of everything including backups, system administration, and monitoring so you can focus resources on your core business while maintaining complete control of your data and applications. The Zumasys cloud platform has been optimized with Flash memory at multiple tiers to address the disk I/O requirements of OpenQM and other MultiValue databases. If you’re interested in leveraging the efficiency, security, and performance of MultiValue in the cloud, Zumasys can help. Since 2006, Zumasys has provided enterprise-class cloud hosting for Oracle, SQL and Pick MultiValue applications. They have the depth and experience to keep your systems running. Visit http://www.openqm-zumasys.com/about/ for more information on their architecture, monitoring and customer references. 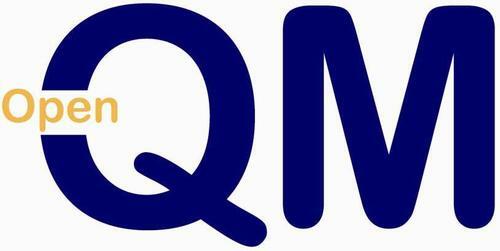 OpenQM began in 1993 as an embedded database from Ladybridge Systems. It was released in its own right in mid-2001 on Windows systems and extended to Linux in 2003 and FreeBSD in 2004. In 2015, OpenQM announced a partnership with Zumasys to provide worldwide distribution, to create a comprehensive telephone support/maintenance program and to multi-tenant OpenQM on the Zumasys Cloud. This allows customers to quickly provision OpenQM servers in the cloud and benefit from a convenient, affordable monthly fee for the database, operating system and underlying infrastructure.